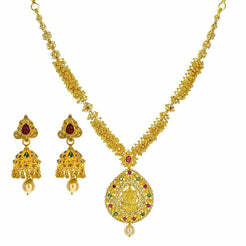 22K Antique Gold Choker Filigree Necklace & Jhumki Drop Earrings W/ Ruby & Emerald Stones for women. Necklace has a S hook closure and the earrings have post screw backs. 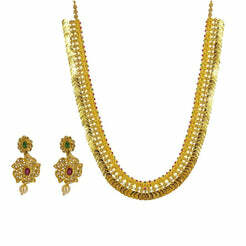 Gold weight is 77.6 grams. 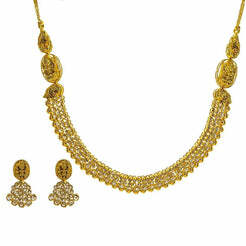 Culutral necklace.